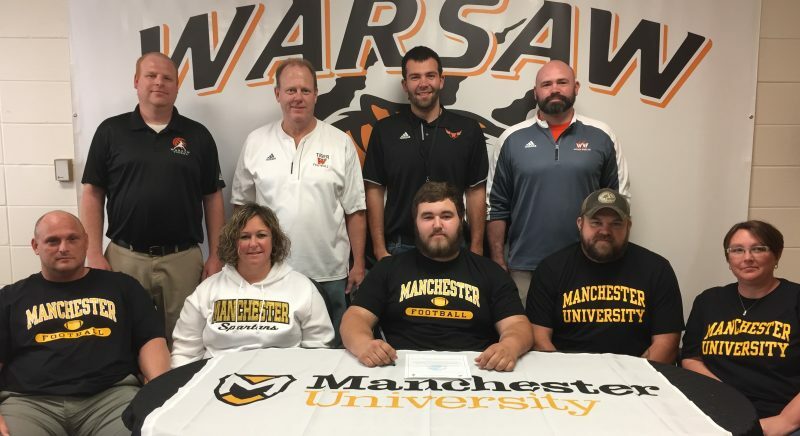 WARSAW – Warsaw Tiger Football lineman Keegan Bays has selected Manchester University to continue his education and play football. Bays, a starter for coach Phil Jensen’s Tigers this past season, will compete for Nate Jensen at Manchester and major in Criminal Justice. Bays was a member of the FFA, Assisted with the Flag Football League, and he assisted groups working for Feed My Starving Children operations. Manchester is a member of the NCAA and the Heartland Collegiate Athletic Conference.